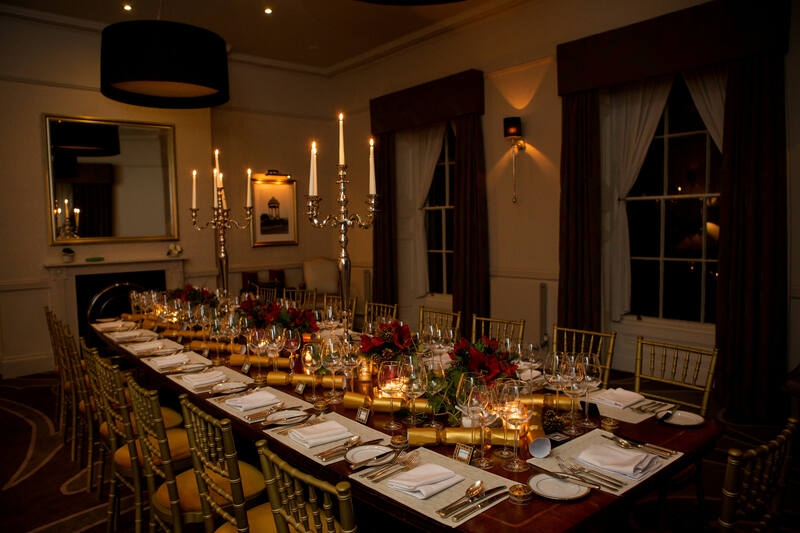 A Regency Christmas Feast, fit for an Ambassador! 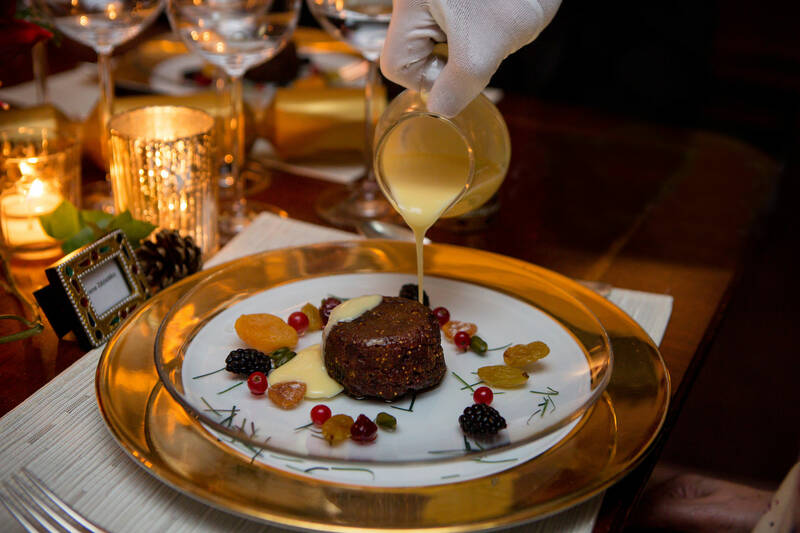 An indulgent feast steeped in festive opulence, celebrating the hard work and successes of 2016. 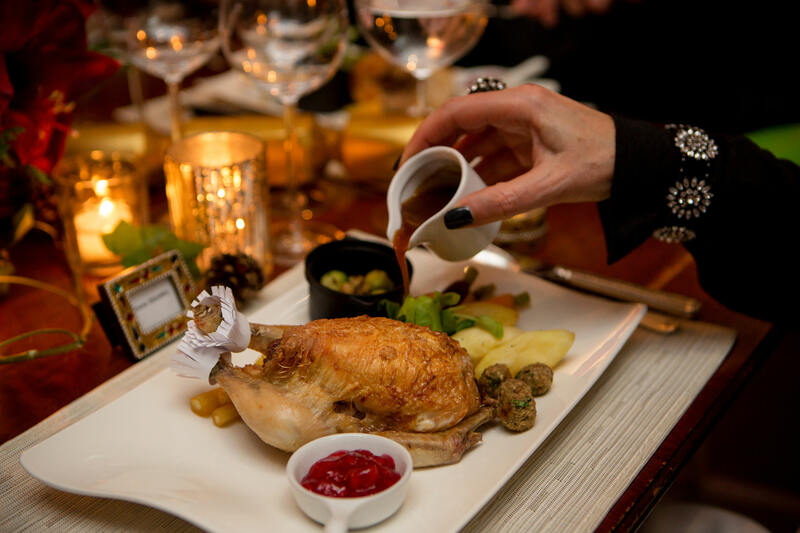 This regency inspired menu was designed with the surroundings and seasonality in mind; taking the traditional values of a Christmas dinner and adding a key ingredient – ‘the Dine Difference’ to make it a feast for the memory books! A dinner not for the faint stomached… the bird in a bird.. in a bird seemed to regenerate itself! There was a sense of genuine pride for all who managed to finish their main course. 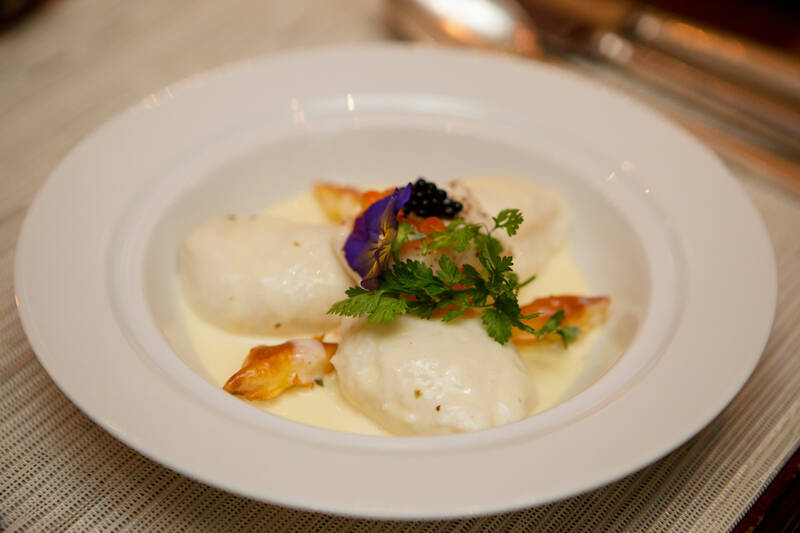 Read more to find out about how we ‘Christmas’ at Dine. 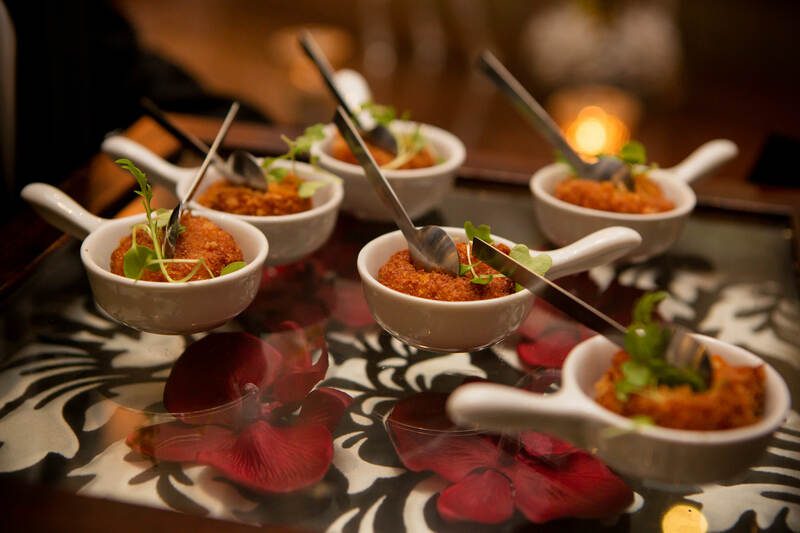 A fantastic way to wrap up the week, after being awarded a commendation for Event Caterer of the year by the prestigious UK Event Awards (just thought we’d drop that in there)! At 7pm, guest began to arrive at The Mansion in full festive regalia – welcomed by a glass of Jansz – Premium Rose NV, a vibrant pink Champagne blend from Australia. 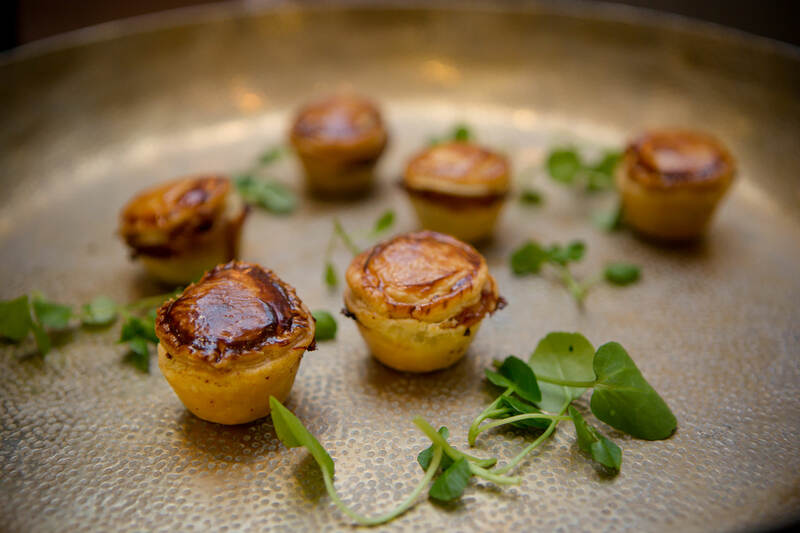 Welsh rarebit served with mustard oil & cress – this is my ‘go-to’ canapé, it’s gorgeously comforting and always a winner with vegetarian guests in particular. 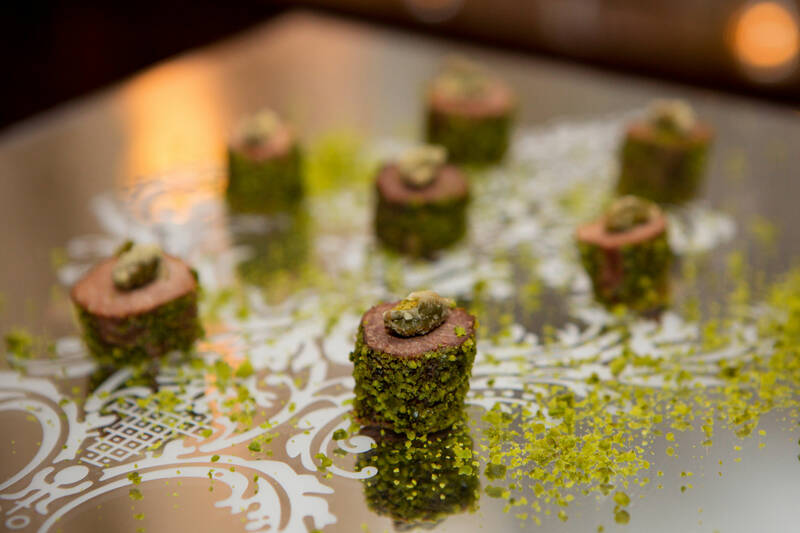 Ox tongue rolled in pistachio – rich and soft with gorgeous contrast crunch of pistachio, packed with flavour. Steak & oyster pie – absolutely my favourite! This is a three bite canapé (unless you’re brave enough to eat in one mouthful), a crisp buttery pastry with melt in the middle centre.. I honestly could have eaten the whole tray of these. Divine! 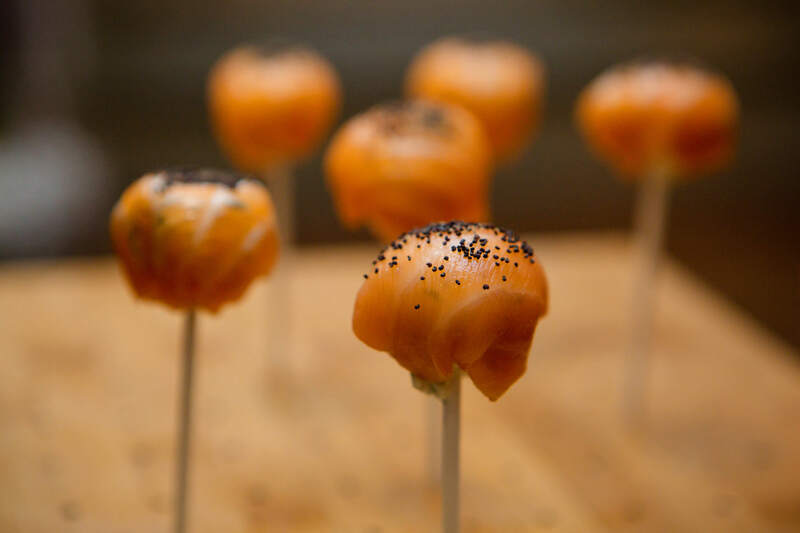 Smoked salmon lollipops – it’s not Christmas without smoked salmon somewhere on the menu; a Dine take on the classic smoked salmon and cream cheese combo. Guests were then invited upstairs to the Fountain Room for dinner, where there was much love for our festive table – complete with jewelled trinkets and crackers of course! Hoults Wine Merchants once again, did a fantastic job at pairing the wines with the menu. Olivia Brabbs, as you can see by the collection of images from the evening, captured the festivities in all their glory beautifully. Twisted Willow created stunning centrepieces, that encompassed all that is wonderful about Christmas – seeing how Jo and her brilliant team turn our briefs into such fabulous creations is genuinely one of the highlights of every one of our Ambassadors’ Dinners. If you are already thinking about your 2017 Christmas celebration, please do get in touch with our events team by calling: 0345 450 4545 or email: events@dine.co.uk – who will gladly run through venues and menu options.